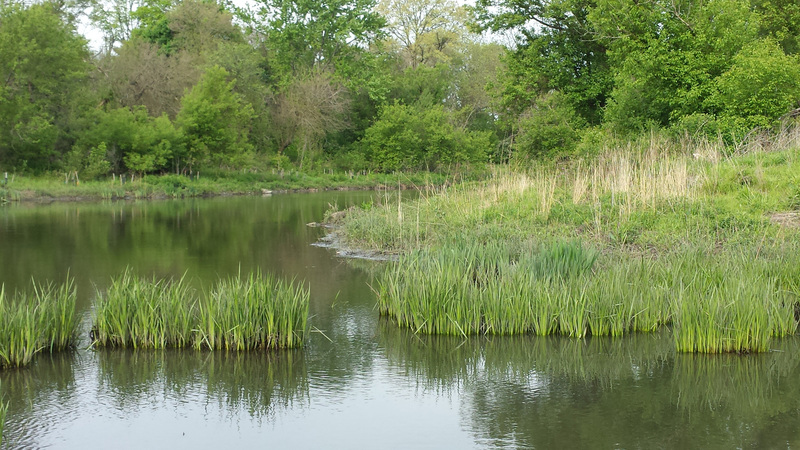 Warrenville Grove Dam Modification Project – DuPage County Stormwater Management | ENCAP, Inc. The Warrenville Grove Dam Modification Project involved the removal of a low head dam on the West Branch of the DuPage River at the McDowell Grove Forest Preserve and modification of the structure into a riffle and pool complex which was completed in 2011. The project also included the restoration of 13 acres of floodplain in the formerly impounded area upstream of the dam structure and planting of trees and shrubs as well as invasive species removal throughout the river corridor. The project was performed by EarthWerks, Corp. with restoration activities subcontracted to ENCAP, Inc. The dam modification included demolishing the existing limestone block dam and converting the dam location to a riffle and pool complex which would restore natural river hydrology and also allow fish passage in this reach of the river where previously there had not been. The dam modification and riffle construction included approximately 7,500 tons of sand, glacial cobble, and boulders which were placed to create a gentle 20:1 back slope from the riffle crest. All work was performed in the wet including demolition and riffle construction along with minor bank grading in the areas immediately upstream and downstream of the riffle. The work was performed utilizing a combination of a long reach wide tracked, low ground compression excavator, as well as two other mid-size excavators, and two tracked skid steers. The impounded pool above the dam was allowed to draw down and the channel to shape itself within the historic floodplain. No grading of a new channel or rock or stone toe was placed to define the stream channel, which therefore allowed the stream channel to migrate within the newly opened and restored floodplain. The removal of the dam and restoration of the natural river hydrology also created backwater wetlands and pools in the former impoundment adjacent to several pre-existing islands which were above the dam. The new river banks and floodplains were seeded with diverse sedge meadow communities, marsh species, and wet to mesic prairie. In addition, over 45,000 native plant plugs and 1,000 trees and shrubs were planted in the floodplain and wetland areas above the former dam. 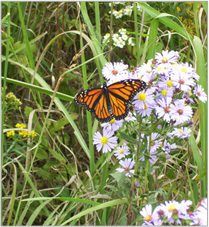 The project was then maintained and managed by ENCAP, Inc. for 3 years for invasive species control. The area has survived many large flood events without damage to the riffle structure or loss of the native floodplain plantings.